After a week of meeting deadlines for classes and submitting essays, I stayed in for a night of eating some well-deserved food and watching my all-time favorite childhood movie, “Toy Story.” In the past, during some heated discussions while vouching for the brilliance of the “Toy Story” trilogy, I’ve had friends tell me that they found the concept of toys coming to life a little creepy. Granted, if the toy is a Chucky doll, their discomfort is completely valid, but what in the world could possibly be creepy about Woody and Buzz Lightyear? As a child, I always secretly hoped to find out that my toys were alive and living their own lives in my closet. Alas, this wish never came true. However, Disney’s recent request for a humanoid patent for their amusement parks, in some ways, fulfills my long forgotten desire as a 5-year-old. Essentially, Disney is looking to jump on the bandwagon for adopting the “internet of things” into their products and services. This is not to say that the company isn’t already technologically advanced; it’s just looking to implement the technological expertise we witness in their movies into their amusement parks. Disney’s patent illustrates a cuddly but sturdy humanoid robot whose main purpose would be to interact with families walking around Disney World. This description makes it seem like these robots will basically replace the employees who spend all day walking around in giant, furry character costumes. In some ways, this is a good thing. I’m reminded of my trip to Disneyland Paris on an exceptionally warm day during which I couldn’t help but wonder how the actor in the Mickey Mouse costume could bear the sweltering heat. Having to walk around and stay in character all day must be exhausting. The introduction of these humanoid robots would eliminate the need to hire people for this kind of job. On the other hand, it would be cutting out a lot of jobs in favor of these robots. Regardless, this is just speculation on my behalf, and it is entirely possible that these humanoid robots would simply supplement the existing actors. 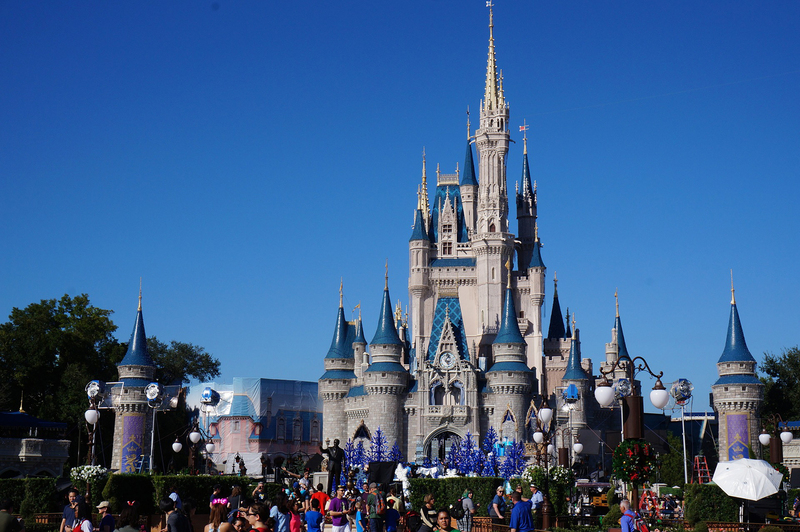 Given that Disney World claims that it’s “the most magical place on Earth,” it is evident that Disney’s main goal is to keep the magic alive and come up with more innovative ways to interact with the crowd. Let’s be honest, those costumes aren’t fooling anybody, except for maybe the 4-year-old kid who is just glad that he got to meet a cute but slightly distorted Nemo. By bringing technology to the forefront with these robots, Disney will be able to customize and invent a realistic looking character from a movie. A child interacting with this authentic humanoid is bound to make their day, if not their year. It’s excellent that the company is trying to optimize their customer’s experiences in their park but it is imperative that they consider the possibility that the robot might malfunction. An incident like that not only puts the child’s life in danger, but is also likely to result in a major lawsuit against the company. Nevertheless, I’m certain that the robot would have to pass several product quality requirements and regulations. Although I’m 20 years old, I still look forward to returning to Disney World when the robots are up and running and give Winnie the Pooh a big ol’ high five.